Don’t spend hour after lurching hour getting to Bay of Plenty Lodge by boat. 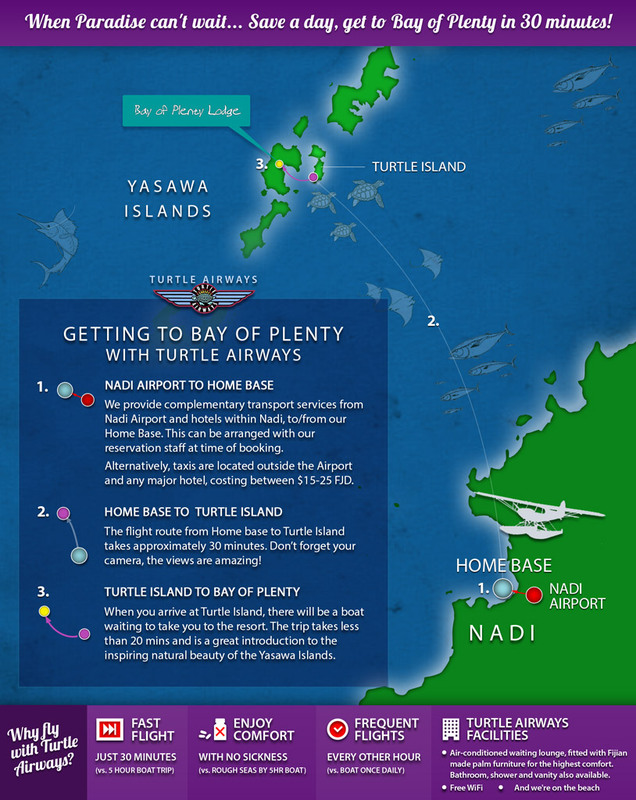 Streak across the heavens on a fast scenic seaplane trip to the Yasawas with Turtle Airways. Bay of Plenty was designed specifically for budget travellers and backpackers wanting the authentic island experience rather than luxury pampering. Besides, no amount of money could buy this idyllic tropical setting: flanked by a stunning lagoon with picturesque hills to the rear, adorned by vibrant tropical colour. 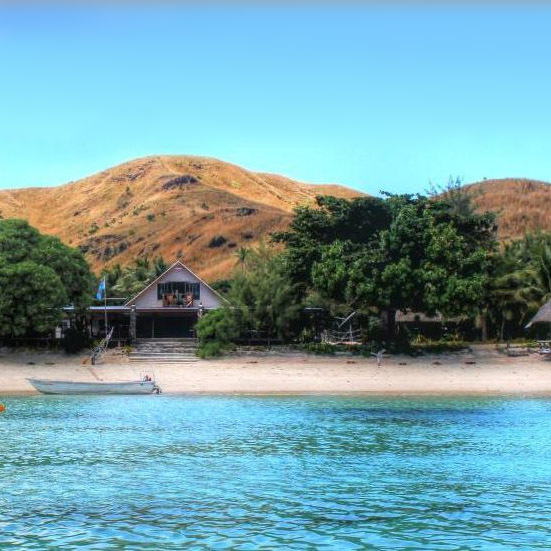 A must-do activity for guests is the Blue Lagoon Boat Trip to see the movie set location at the perfect waters of Nanuya Lailai Island. It goes without saying that there is no better place in the world to snorkel. 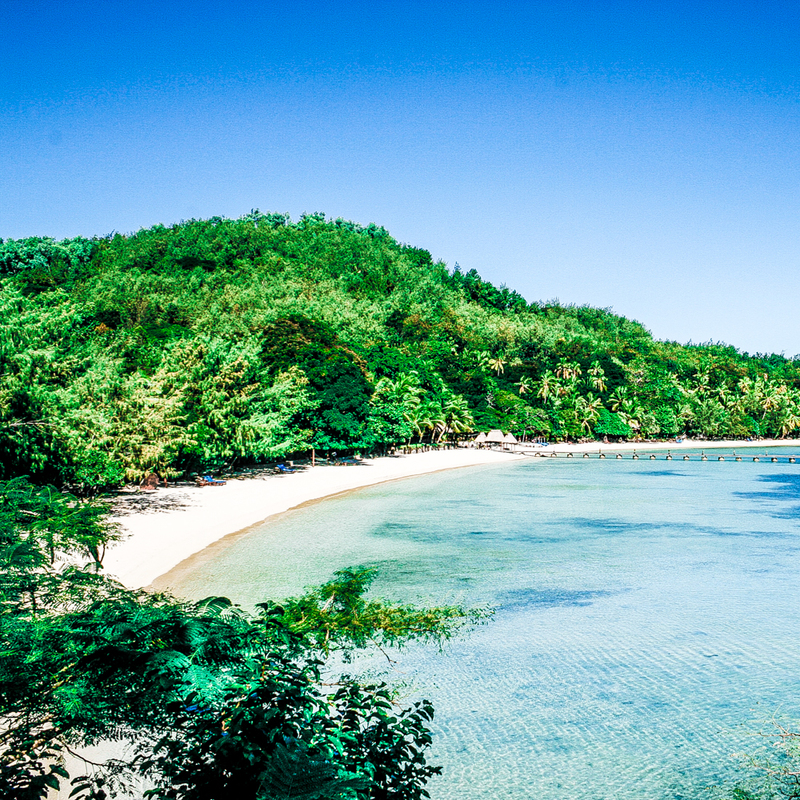 Other tours are available include the Vuaki Village tour, the Sawa-i-lau Cave tour, Fiji Church tour, reef-hopping and snorkelling trip, sunset cruise, and many island hiking trails across Matacawalevu Island. Guests worn out by all the sightseeing will enjoy relaxing with fellow travellers in the communal dining setting at Bay of Plenty Lodge, or just relaxing in a hammock with a Fijian beer in hand.